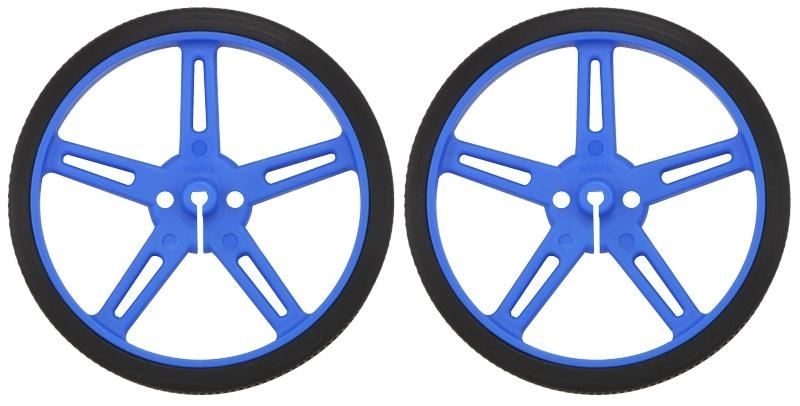 These blue plastic wheels press-fit onto the 3mm D shafts of our micro metal gearmotors, mini metal gearmotors, and mini plastic gearmotors with 3mm D-shaft outputs to make a nice drive solution for small robots. 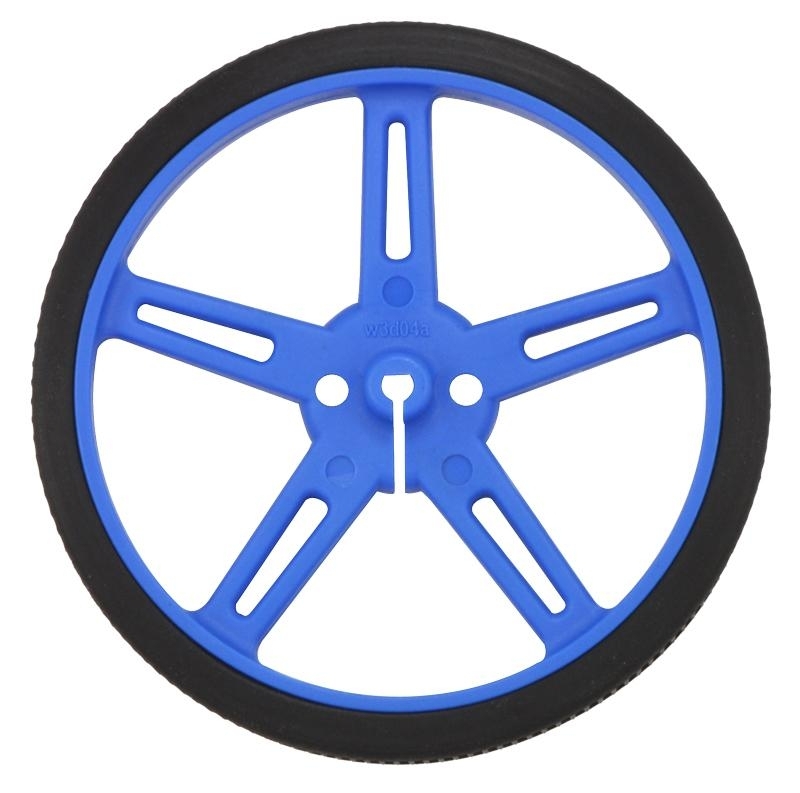 The wheels have silicone tires and measure 70 mm (2.75") in diameter. Two additional mounting holes for 4-40 screws make it possible to use the wheel with our universal mounting hub for 3mm shafts, 4mm shafts, and 5mm shafts. The slots in the five spokes allow additional accessories to be mounted to the wheel (e.g decorations or parts of an encoder system).